This 12x12 double sided paper has Beautiful Florals on the frontside that are accented with Foiled Carriages, Clocks & more. The reverse side has a Newspaper Print. 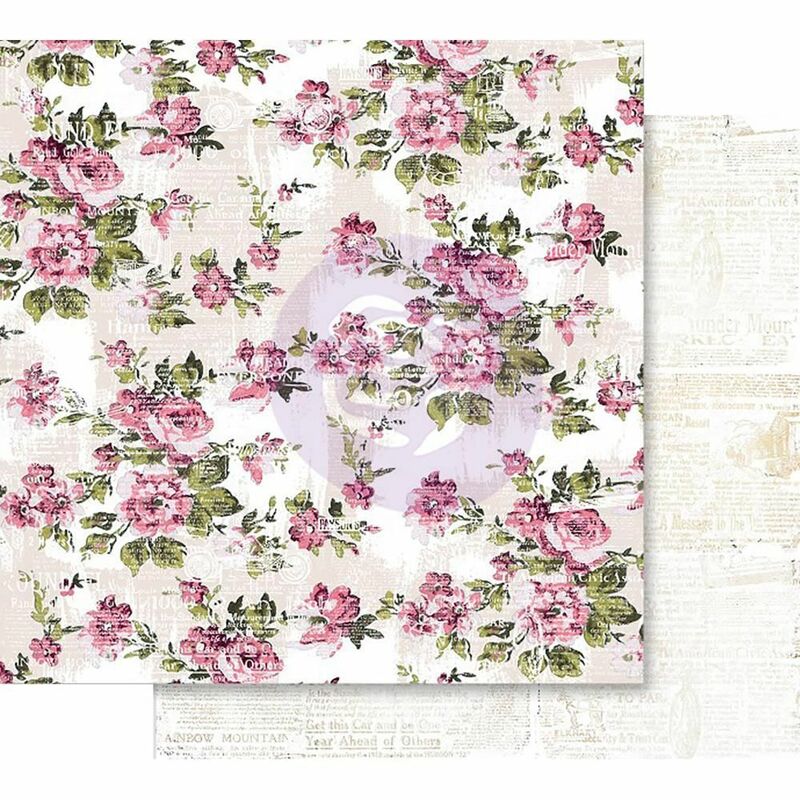 Part of the Misty Rose Collection by Prima Marketing Inc. Look for other coordinating Designer Papers & Embellishments.